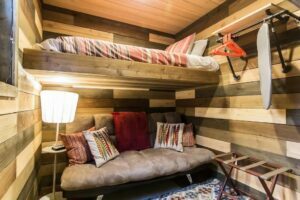 As container homes continue to grow in popularity, it’s only logical that a market for used shipping container homes has developed. People’s life situations change over time, and what was once the perfect home in the perfect location eventually becomes less than ideal. Our interview today explores one such situation. David wanted a unique home and had decided that buying (versus building) a shipping container house was the right move for his situation. 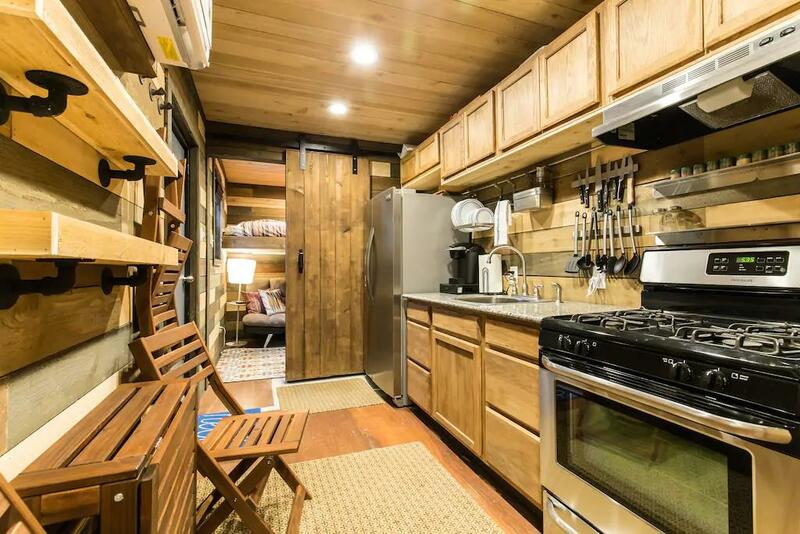 However, he had trouble finding new container homes for sale that met his price and quality requirements. With patience though, he did find the container home he wanted in a place you might not expect. Today’s interview is also interesting because it discusses using a container home as a short term rental on Airbnb. Read on to hear about David’s interesting background and journey in short term rental hosting. What attracted you to shipping container construction? 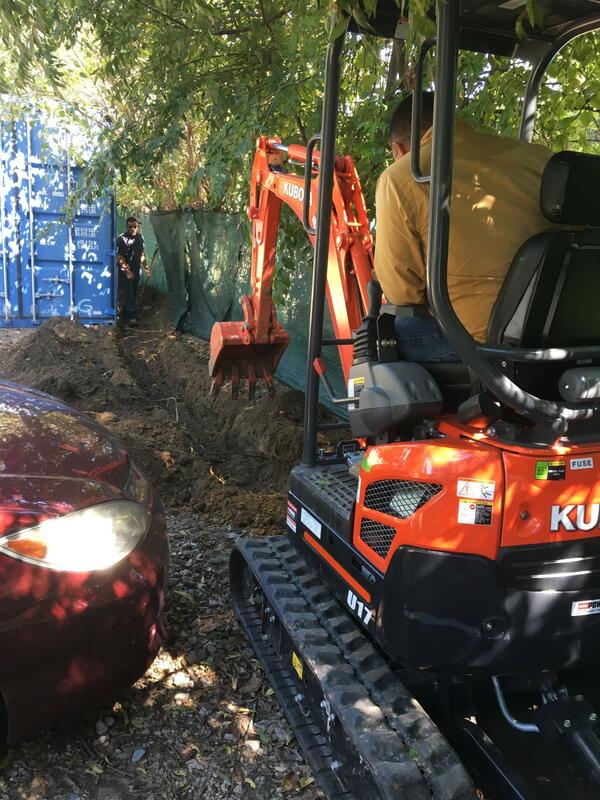 Did you consider other construction methods for your short term rental? To answer this, I need to take a few steps back and talk about my history with short term rentals. Years ago when I first moved to Dallas, I purchased two condos that I renovated and used for Airbnb hosting. Later, one of those condos was booked by a group that hosted a large party and ended up causing me a lot of problems in the aftermath. Without going into all the details, I eventually had to sell that condo at a loss as a direct result of the party. It was quite a nightmare, but there was a silver lining. As a result of what I faced through that rental experience, I cofounded the company NoiseAware to help other hosts with what I could see was going to be an ongoing problem. We make a small device that detects noise levels and alerts the host when a preset threshold is exceed. The host can then contact the guests to resolve the noise issue before neighbors or police get involved. Fast forward a bit to where I’m a newlywed. Based on some of my previous Airbnb hosting experience, I start looking in my spare time for something unique that I could use as a rental and that would be an easy addition to our existing house. I didn’t want to have to deal with building something, so I was focusing on RVs and container homes. Both options can be moved to a new location and operating quickly, and later relocated if necessary. 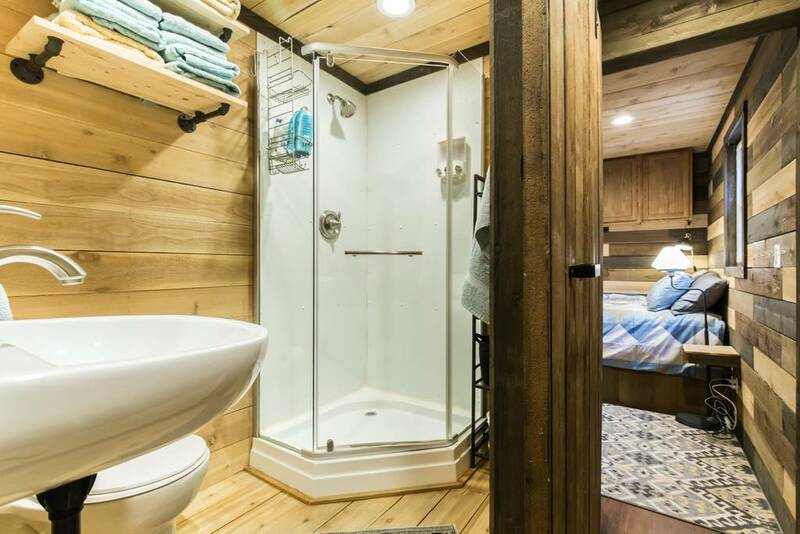 I researched a few container home builders, but I wasn’t able to find anything I liked that was in my price range. So, I started looking on Craigslist (a free classified ads website) for used container homes. Simultaneous, I convinced my wife to list our main house on Airbnb at a very high price and a minimum stay of a month. I doubted anyone would actually make the booking, but if they did, it would be so much money that it would be worth it for us to move temporarily. I ended up finding a container home on Craigslist that we both liked, and around the same time, an insurance representative reached out to us on Airbnb. They were looking for a five month rental for someone who’s home had been damaged in a flood, and they were willing to pay a number that made us pack our bags! We had the container home moved in and setup in the backyard, and my wife and I moved in and lived there for about a month. Eventually, we purchased another house and moved there, turning the container back into a rental as previously planned. I purchased the container on Craigslist from a seller who built the container house himself, and it was clear he put a lot of attention to detail and quality craftsmanship into it. After spending a few months scouring Craigslist and seeing a lot of shabby choices, I knew I’d spotted a diamond in the rough when I came across this one. The seller’s family was getting rid of their hunting lease, so he didn’t have any use for the container home going forward. It was actually a great situation for me, because he sold me everything as a turnkey package, including towels in the bathroom, sheets on the bed and silverware in the drawers. The home is made from a single 40 foot container. It has two bedrooms, a small kitchen with a full-size refrigerator, and a bathroom. There isn’t really an interior common space or living area, as the previous owner had used a porch for that purpose. The home included a filtration system for the well water that was available at the hunting lease, and nice touches like wiring for both interior and exterior TVs. 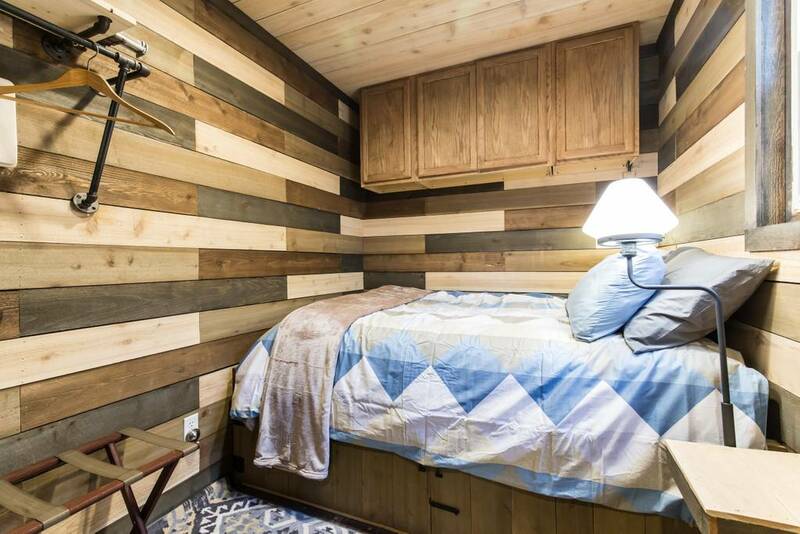 The interior has cedar paneling over the spray foam insulation to really give it a homey feel. The exterior includes the original paint scheme from when the container was shipping goods around the world, including a few Chinese characters on one end. I think that adds a little something to it as a conversation starter about where it might have been when in use. I wanted something unique since I planned for it to be a rental, so small details like this help. Walk us through the process and timeline of your project. What issues did you encounter and how did you resolve them? Due to the fact that I purchased the completed container home, all we needed to do was coordinate delivery and hookup the utilities. All the difficult design decisions were already made by the previous owner. The yard of our main home is oriented in such a way that the large container truck was able to drive straight through from front to back then exit via an alleyway. I coordinated the delivery with the seller as part of the purchase price, so he handled most of the legwork of finding the delivery company and setting everything up. Once they arrived at my house, it was literally just a few minutes until the container was offloaded and they were gone. Due to my previous experience with renovations, I already knew some good contractors in the area that could hook up the plumbing and electricity, which only took a day. Everything was really pretty painless overall. The home was originally listed for $40,000 and let’s just say I got a deal on it! Tell us about the guests you’ve had and your general experience hosting a short term rental in a container home? 60% of our guests stay with us because our location in Dallas is close to whatever event or activity they are in town for. We just happen to be renting a container house, but that’s not really a draw for them. 30% of our guests stay with us because they are flexible on what part of the city to stay in, and our container house looks really interesting to them, so they go with it! 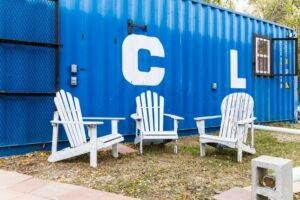 10% of our guests stay with us because they are thinking about building or buying a container home and want to stay in one first. Although they weren’t even planning to visit Dallas for other reasons, they come anyway just to stay in ours! In general, people have been really receptive to the container house and give us positive feedback regularly. We try to be very proactive about making sure people are clear what they are getting into with our container rental so there are no surprises, which leads to a high level of satisfaction. Things like ensuring they know to keep the air conditioner with a reasonable set point while they are gone for the day, so it doesn’t get unbearably hot when they return. Financially speaking, using the container house as a short term rental has given us an amazing return on our investment as well. We’re quite happy with the overall outcome. Anything we’ve left off that you feel is important to discuss/share? The biggest takeaway I have to share is that at some point, you just have to do it. Impulsivity can be a positive thing. Buying is obviously much simpler than building, but even that takes a high level of commitment to get over the initial hump and just get started. Our thanks to David for sharing his unique approach to acquiring a container home and his great experience with using it as a short term rental. Let us know what you think in the comments below.